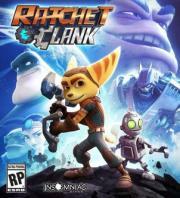 Join Ratchet, Clank, Captain Qwark and new friends as they battle to save the Solana Galaxy from the evil Chairman Drek. With an hour of new cinematics (including footage from the film), Ratchet & Clank (PS4) takes a deeper look at the characters' origin stories and modernizes the original gameplay. A pale imitation of a once great game franchise. It basically only exists as a tie-in for the movie which is even worse than this. The gameplay is a step down and the characters are wooden.